The six-member International Trans-Antarctic Expedition of 1989-1990 had successfully dog-sledded 3,725 miles across Antarctica and were just 16 miles from their destination at Russia's Mirny base when Keizo Funatsu, its Japanese member, vanished in a raging blizzard. 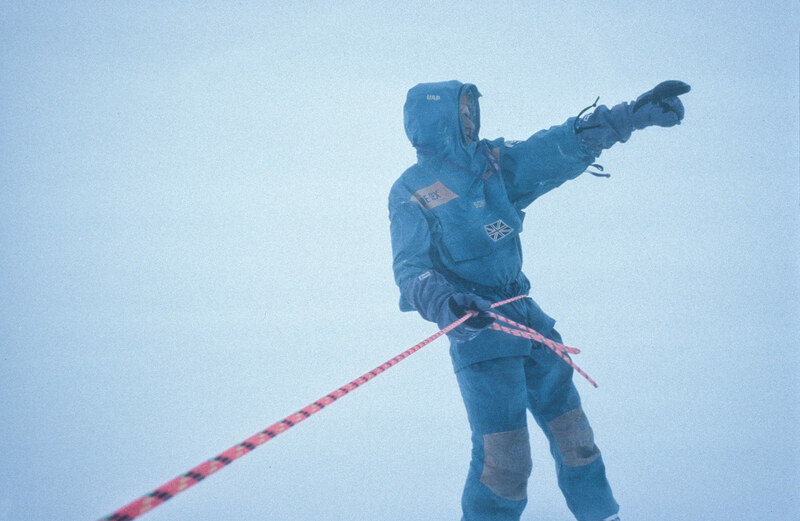 Though visibility was perilously low, expedition leader Will Steger quickly organized a search, spacing his fellow team members along a 340-foot rope, which the group then "walked" in a giant circle, calling frantically all the while for Funatsu. After a night and a morning of searching, with hope draining away, Funatsu suddenly stumbled out of the whiteness, after 12 hours outside in the raging storm. I took part in the rescue and was able to capture these images with an iced over Nikonos underwater camera. After continuously scraping the lens off with my nails I was able to capture the harrowing rescue.